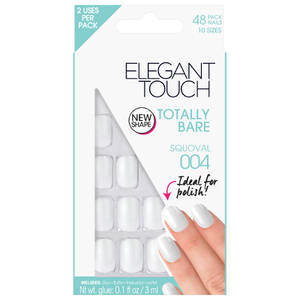 Get creative with Elegant Touch Totally Bare Nails Bumper Kit. 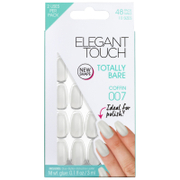 The perfect blank canvas for nail art, the set combines 216 nails in 10 different sizes, allowing you to experiment with lengths, shapes and nail art designs. 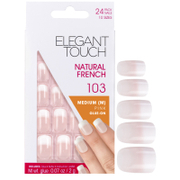 Natural nails lack moisture which can compromise polish brightness; adding varnish to false nails ensures a bright and eye-catching manicure. Easy to apply and comfortable. 216 nails, 10 sizes (Square 001, Oval 002, Stiletto 003). Apply the glue carefully so it does not touch the skin around the nail. 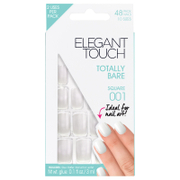 This product was amazing I bought them for my cousins wedding and they lasted the hall night. Not only that they lasted about a week and a half after that. I painted them with a light coloured OPI nail polish and they turned out amazing the colour showed very bright on the nail and there was no bumps in the nails and the polish applied to the nails very nicely. I would seriously recommend this product for any events and daily use they’re AMAZING. Easy to use, simple and absolutely gorgeous! I love the way they look on my hands; I’ve received many compliments!